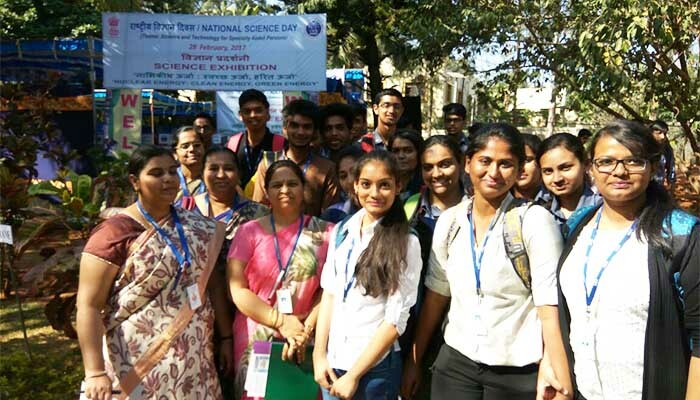 International Conference on Current Trends in Engineering Science and Technology provides academia and Industry. A forum to discuss the latest technological advances and Research in the fields of Engineering fields and technology, Electronics and communication Engineering, Mechanical Engineering, and Electrical Engineering, Information Science and Telecommunication Engineeering and Civil Engineering aimed for bring Scientists science Rersearcher and Scholar to exchange and share their experiences about all aspects of various Engineering and science domain in one platform. The Professionals and Research Scholars from Regional, National and International levels were invited to present their work in this Conference. It’s a great day of Enlightenment to the community of mathematicians of the country. DBIT campus vibrated with academic excellence where in more than 200+ faculty members and research scholars participated in the conference. The conference was ornamented with the galaxy of intellectuals both from India and Abroad. The conference welcome note delivered by DR. R. Prakash, Principal DBIT. The theme of mathematical modeling and its importance on Multi Disciplinary areas enlightened by DR. P Shrinivasrao, Executive Dean DBGI. 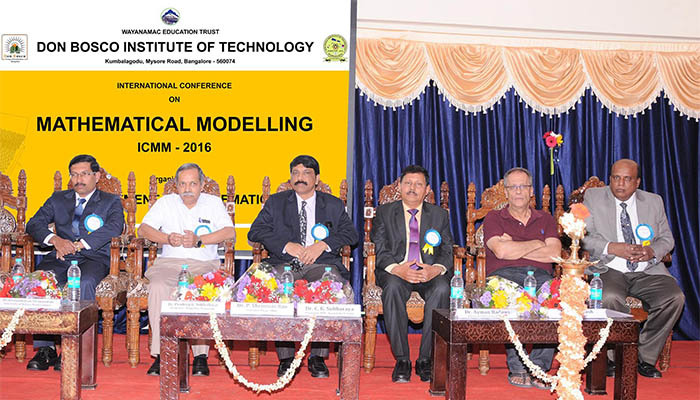 An ocean coverage of Mathematical Modeling and the various development that has been witnessed in Engineering, Science and Technology which were critically analyzed by the Chief Guest of the function Dr C K Subbaraya, President ISTE Karnataka & Principal AIT Chickkamagaluru. The Graph theory and its relevance focused by Dr. Ayman Badawi, Professor, American University of Sharjah, UAE. The Fluid Dynamics and its importance was deleberated by Dr. Sivasankaran Sivanandam, Professor, University of Malaya, Kuala Lumpur. A critical analysis and high impact note on Mathematical Modeling with a special focus on fluid dynamics was delivered by Dr. Pradeep G Siddeshwar, Professor Bangalore University. The inaugural ceremony was concluded by Professor R. Nataraj, HOD (S & H) and team of faculty with vote of thanks. The Guest lecture was held on Generalized Derivatives . He spoke about its application in Engineering and how it can be helpful for higher Engineering students in applying in their core subjects. Key Learning’s: : Learning further advanced derivatives . The Guest lecture was held on Some aspects of Linear Algebra and how its applied in Engineering Subjects . Key Learning’s: : Interaction with the students was Good . This Workshop help the Research scholars to workout in Mathematica Software. Topics Covered : Differential Equations and Integral equations. Topics Covered : Fluid Dynamics, Graph Theory, Fuzzy Logic, Real Analysis, Number theory.